I love when companies send coupon books. They have the best coupons in them and always come in handy when they have a catalina promotion. 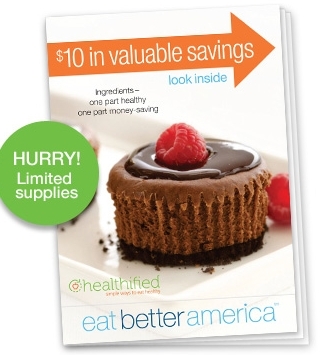 Right now you can get a coupon book from Eat Better America filled with $10 in General Mills coupons. Once you are on their mailing list, they will let you know when the next one will be available.